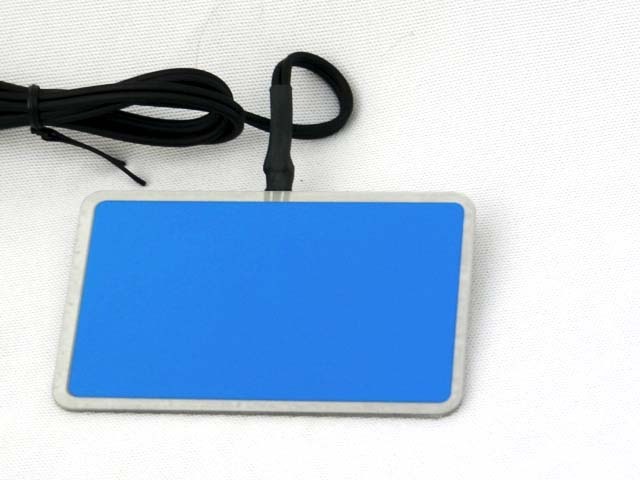 A keyguard is a plastic or metal cover that matches to a specific keyboard. 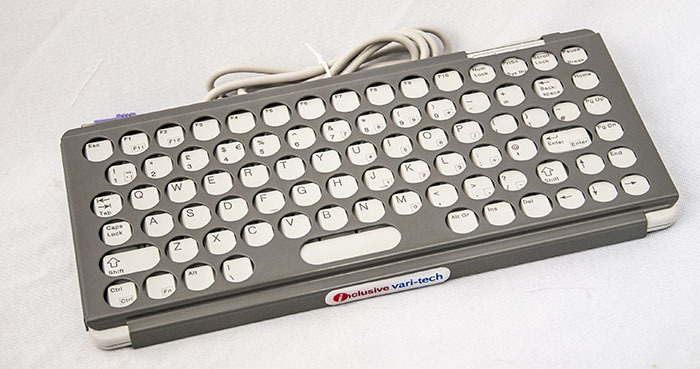 These come in various types and sizes including a standard keyboard, compact keyboard and BigKeys LX. The guard sits on top of the keyboard. The user types the keys through holes strategically placed above each key. With the guard in place, someone with poor motor control can push a key without inadvertently selecting nearby keys. 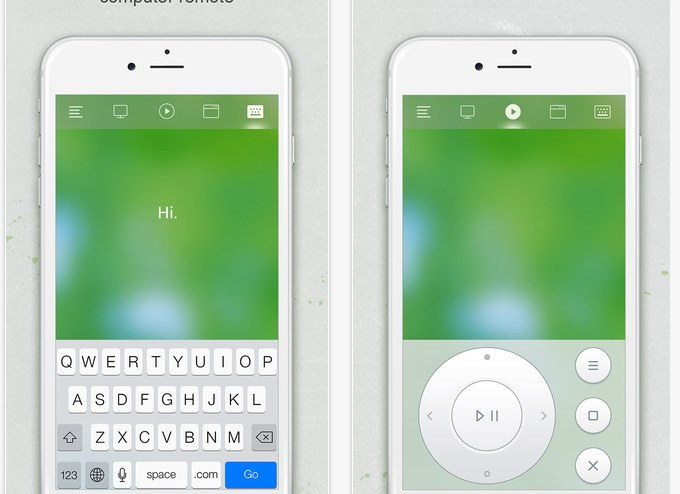 It is also useful for people who get tired when typing, as they can rest their hands on the keyboard without pressing any of the keys. 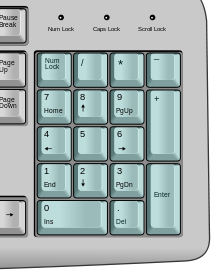 Using a keyguard will result in fairly slow typing speed. As such, a lot of people chose to try prediction software to increase overall efficiency. However, there is evidence to suggest that prediction software does not increase input speed. This is due to the time it takes to visually scan the list of words. Instead, text expansion systems may work better for commonly used phrases. If speed is your aim you might want to consider a totally different keyboard system such as Dasher or Speech Recognition. 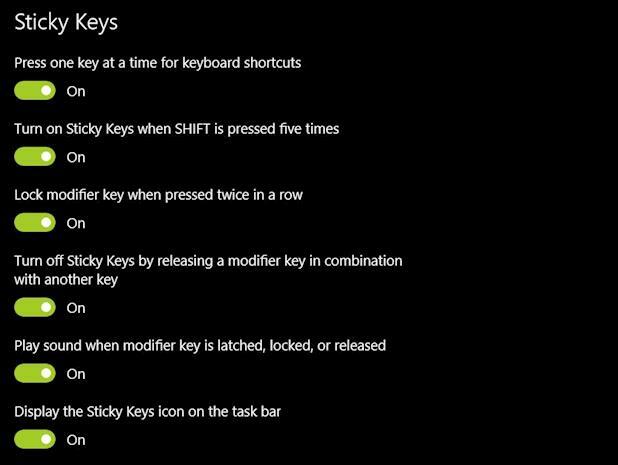 A free ‘software’ alternative to the Keyguard that you can try right away is Filter Keys and Slow Keys (built into Microsoft Windows systems), which can also help reduce inadvertent key presses. You can also find keyguards for iPads that fit layouts of apps, such as Proloquo2go, GoTalk Now and Clicker Communicator. Two popular manufacturers of these guards are Lasered Pics (who also make keyguards for laptops) and Beyond Adaptive (part of Logan Tech who make the ProxTalker). Before deciding to purchase or make a keyguard you might want to explore the iOS TouchAccomodation settings. Tap Assistance, in particular, performs a similar function and may save you some money!